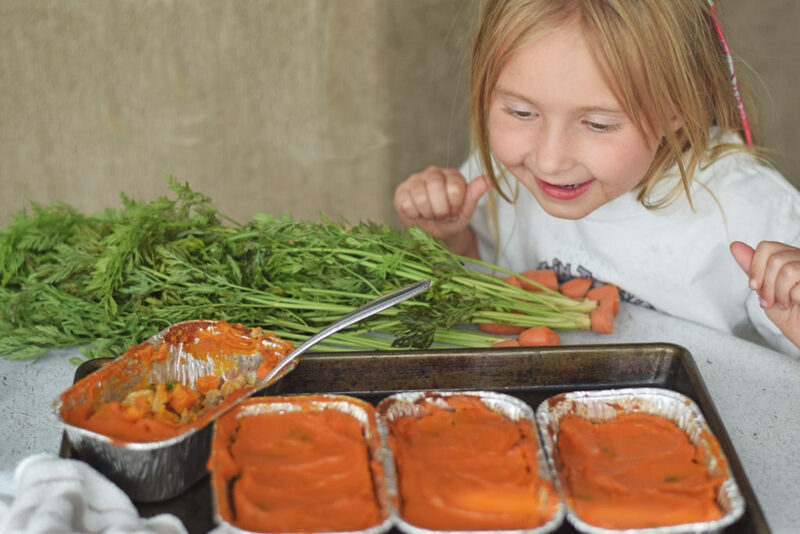 Kids will love that they get their own individual meal! They can use a sharpie and write their name on the side of the loaf pan. The funnest part about including kids in making something such as this recipe is that it is simple enough to assemble on their own. If your children are a little older, they can eat right out of the loaf pan after it has cooled enough to the touch. I have given about 10 minutes for it to cool and have had no problems with it being too hot to eat out of the loaf pan. Let's also talk about the bonus of not having to do extra dishes either! Turkey, gouda cheese, fresh vegetables, and sweet potatoes layered into a delicious meal that kids will enjoy making on their own! This makes a meal pickey eaters will gobble up! Add the poultry season to the ground turkey and stir to combine. Add EVOO in a skillet and cook the ground turkey until no longer pink. 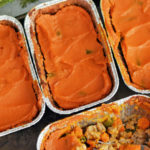 While the turkey is cooking in the skillet, pierce the sweet potatoes with a fork and microwave for 5 minutes (depending on the size of the sweet potatoes, you may need to add on another 2 minutes until the sweet potato is soft enough for the fork to easily pierce though the flesh. I have a “potato” setting on my microwave that I use). Let the sweet potatoes cool, and then remove the skins. Using a fork, mash the sweet potatoes. Once the ground turkey and the sweet potatoes are done, set aside. Add the carrots and green beans to a microwave safe bowl, add about 1/2 cup of water, cover with a paper towel, and microwave for 3 minutes. If you can not find shredded gouda, you can use a grater. Grate the cheese until you have about 1 1/2 cups. 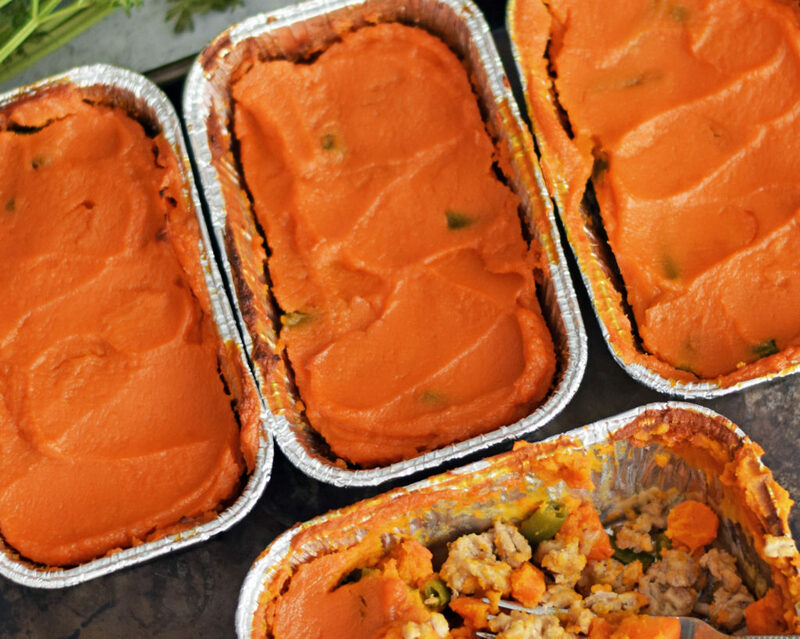 Individual loaf pans are 3×5 in size, and can be found in most grocery stores. They are also usually found in a pack of four. Chop carrots with a food processor by pulsing until they are large chopped pieces. Buy green beans that are already washed and trimmed. Microwave the sweet potatoes for about 7-9 minutes until soft enough that a fork pieces through the flesh. Microwave the green beans and carrots will save time, and also by using a “steaming” method will help preserve some of the nutrients. What the heck is Portion Fix? Click here!